Choosing a photographer can either do justice to timeless memories or ruin them altogether. Thus, it is imperative to get the best photographer considering that saving some cash at the expense of professionalism isn’t just worth it. That said, here are some events that require the services of a professional photographer and the uniqueness of photos for different occasions. Family photos are meant to capture special moments with those who matter most. Family photography is not as simple are picking up a photograph and taking some photos. There are a ton of intricacies involved in capturing the best shots. Besides having a camera, you also need a professional eye and some creativity. A graduation event marks an end of your academic life and the beginning of another. Photography plays a vital role in this ceremony, and the quality of photos goes a long way in creating lasting memories of your academic days and the special day. Weddings area realm where the input of a professional photographer is needed most. Wedding photo shoots are often hectic and demanding. Having the right photographer is vital in preserving these life-long memories. 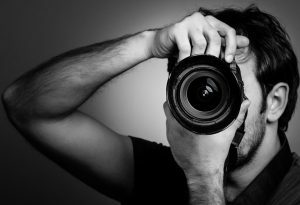 With a seasoned photographer, you can always rest easy knowing that the job will be done professionally. Different photographers can find their way into any sporting event and still do a decent job. However, when it comes to capturing the gist of the matter (the action part of the sport), you need a sporting photographer. The experience of a photographer is often evident in the quality of their shots. When it comes capturing life’s most memorable events, the experience and toolset of a professional photographer go a long way in creating timeless memories. Which other event needs a professional photographer? Name it- and get the best photographer.